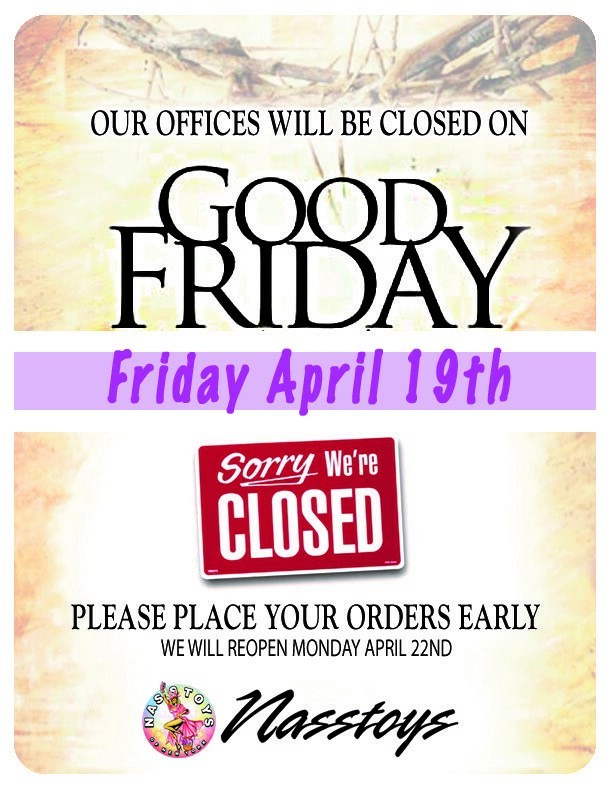 12.04.2019 | North Bergen, New Jersey, USA – Nasstoys‘ offices will be closed on Good Friday, April 19th. Orders should p laced early. Nasstoys will reopen on Monday, 22nd.